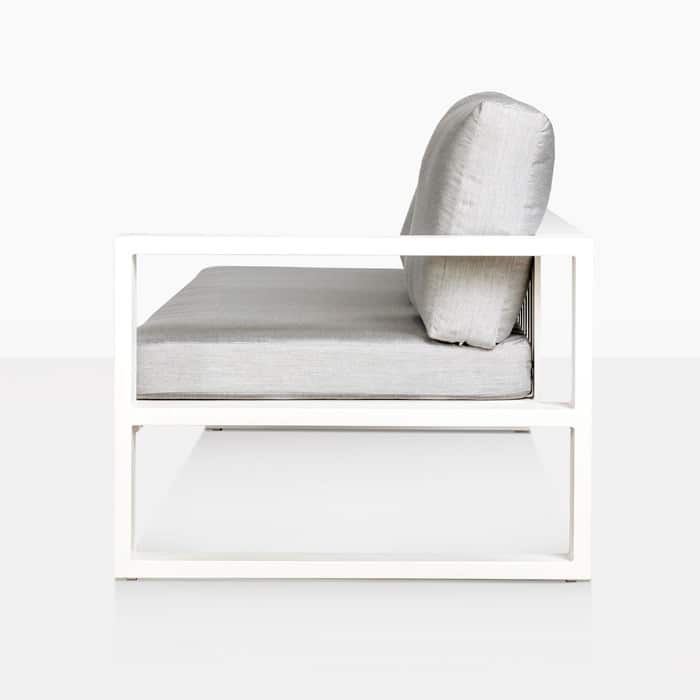 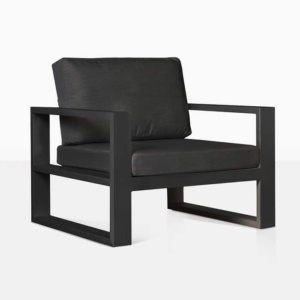 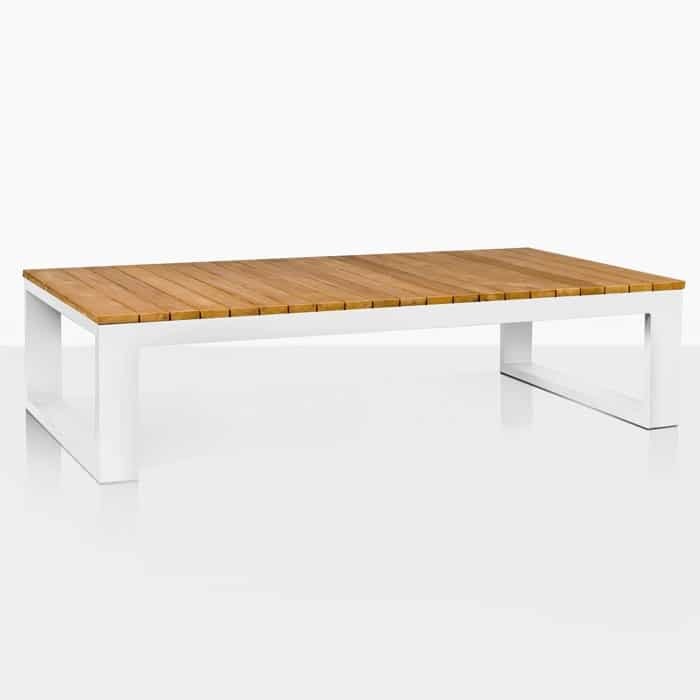 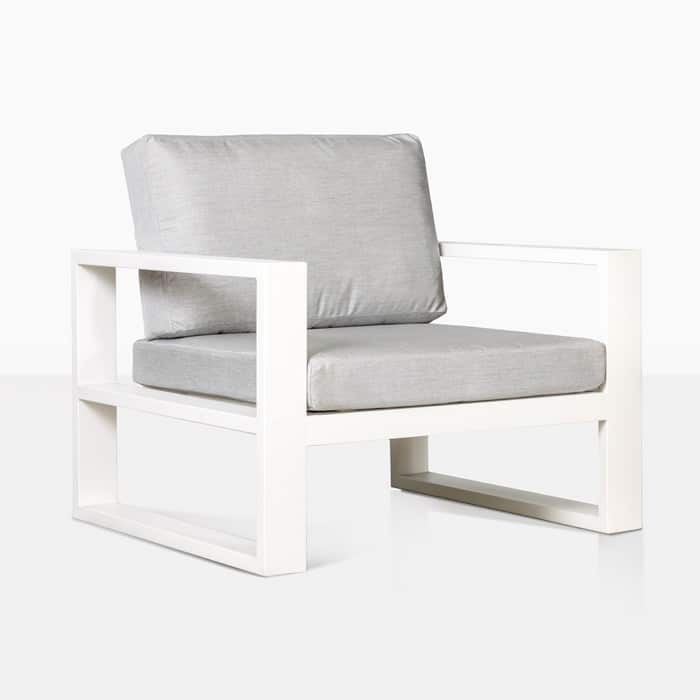 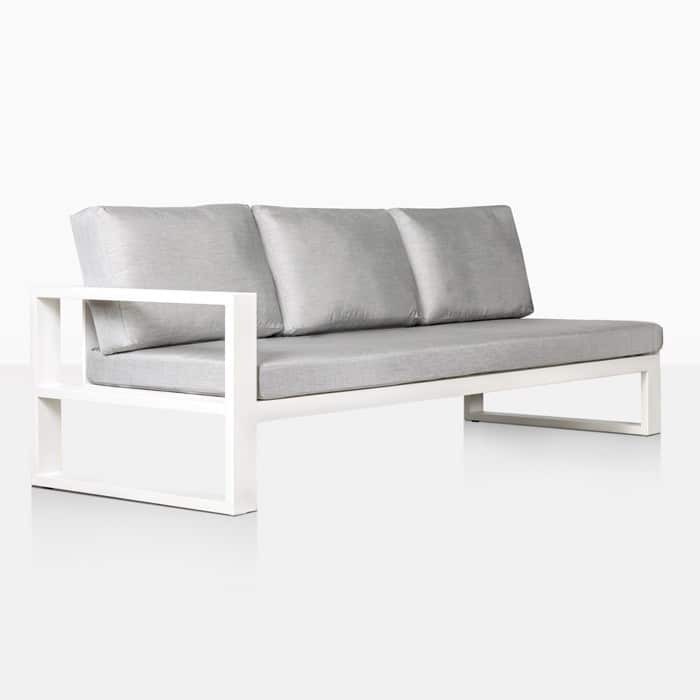 On the hunt for a luxury, contemporary piece of furniture to awaken your outdoors? 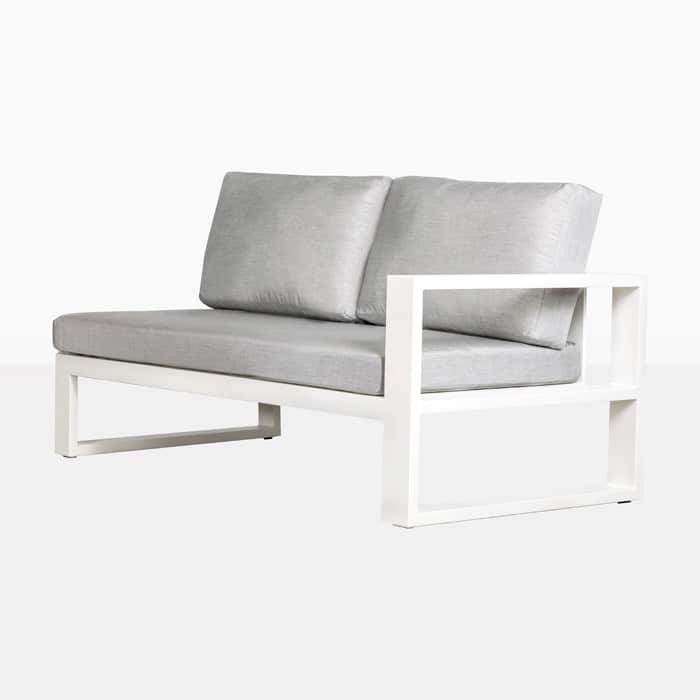 We are pleased to present the exquisite Mykonos Outdoor Sectional Sofa, with a Left Arm in White. A major piece in the stunning and versatile Mykonos collection, the Mykonos Outdoor Sectional 3 Seater Sofa will add confidence and charm to your outdoor area. 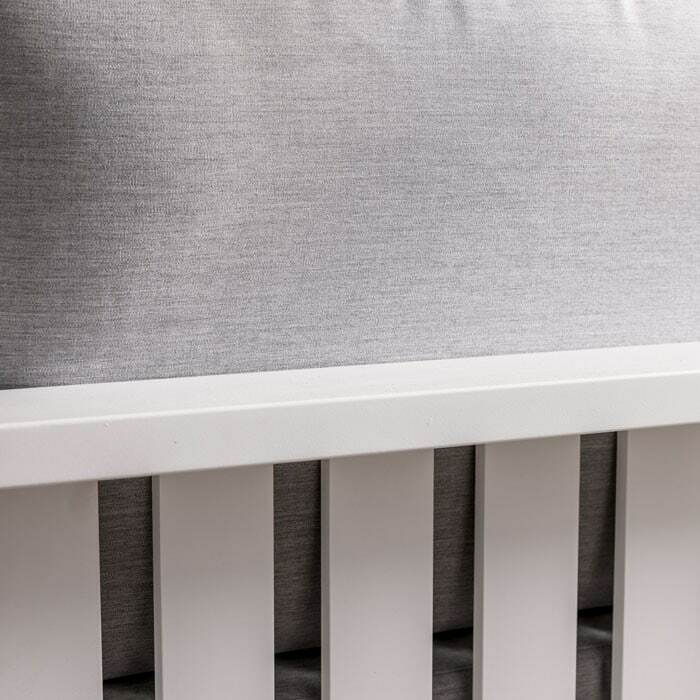 Hailed as modern classic, the Mykonos Collection features long, crisp lines white aluminium, low, deep seating and plush cushions to create a look that is welcoming, contemporary and dreamy – perfect qualities to add to your outdoor area! 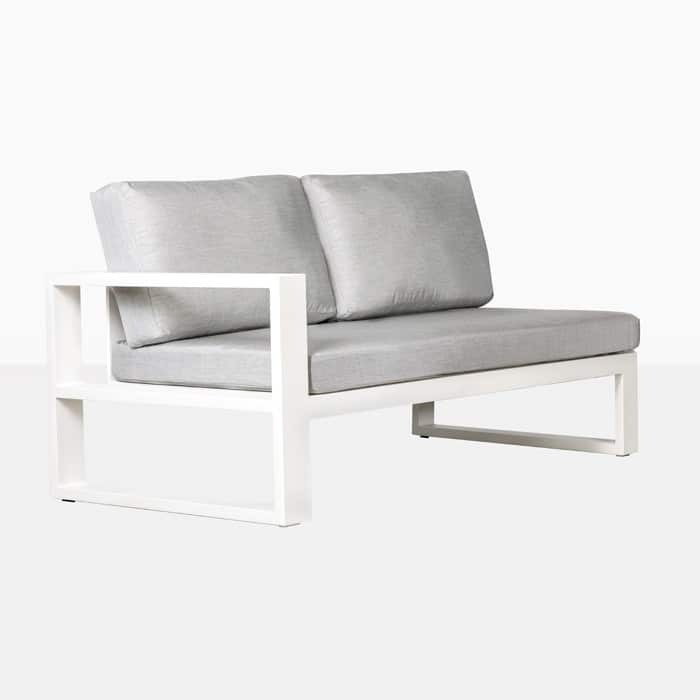 The Mykonos Outdoor Sectional Sofa with a Left Arm is the perfect daybed style 3 seater to keep you in comfort when you wish to curl up with a good book or to host friends in your outdoor setting. 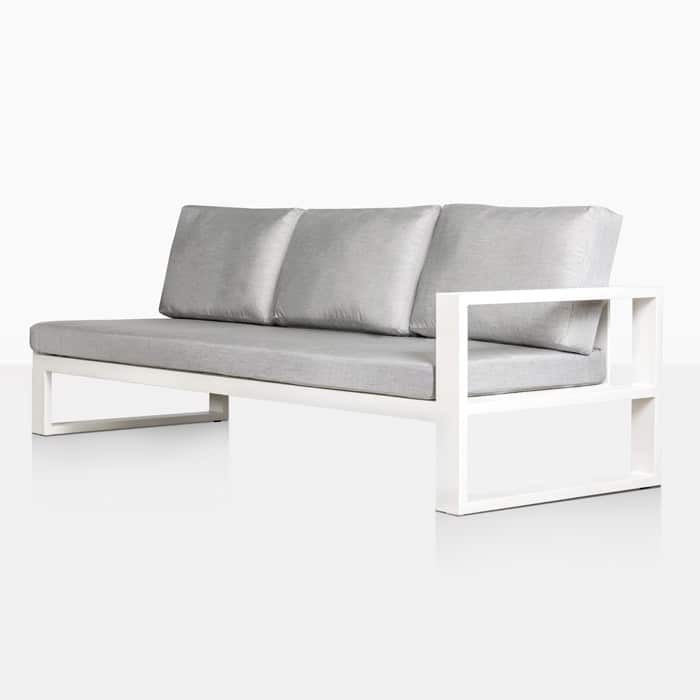 Mykonos will enrich your outdoor area, with the contemporary materials in a classic style. 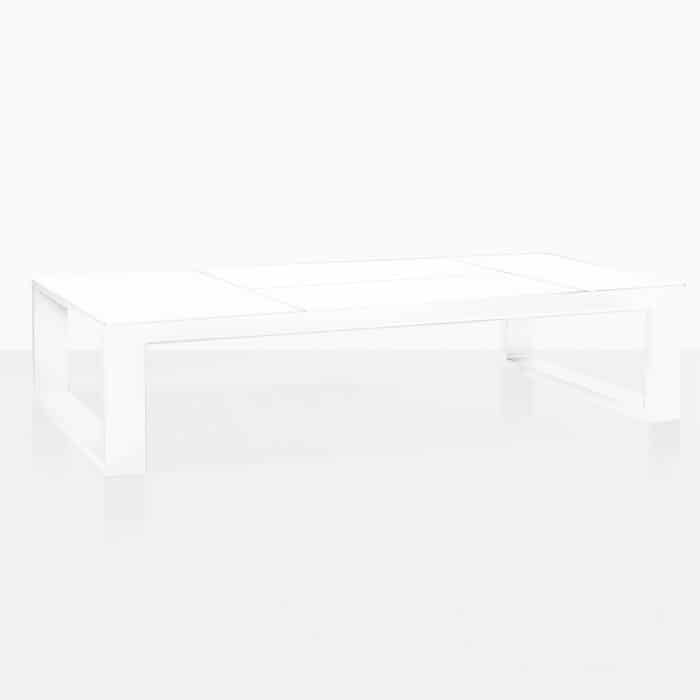 Stunning powder coated white aluminium is presented in a sleek, luxury and simpe versatile design. 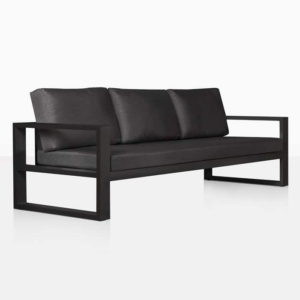 Pair up sectional pieces for a satisfyingly precise squared shape or configure an extra long and extra comfy sofa! 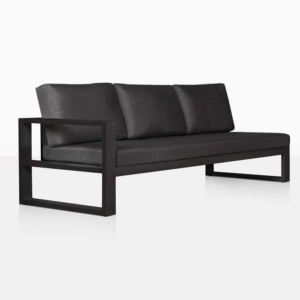 Place a Left Arm Sofa next to the Right Arm Sectional 3 Seater to create the ultimate in dramatic, lavish sofas! 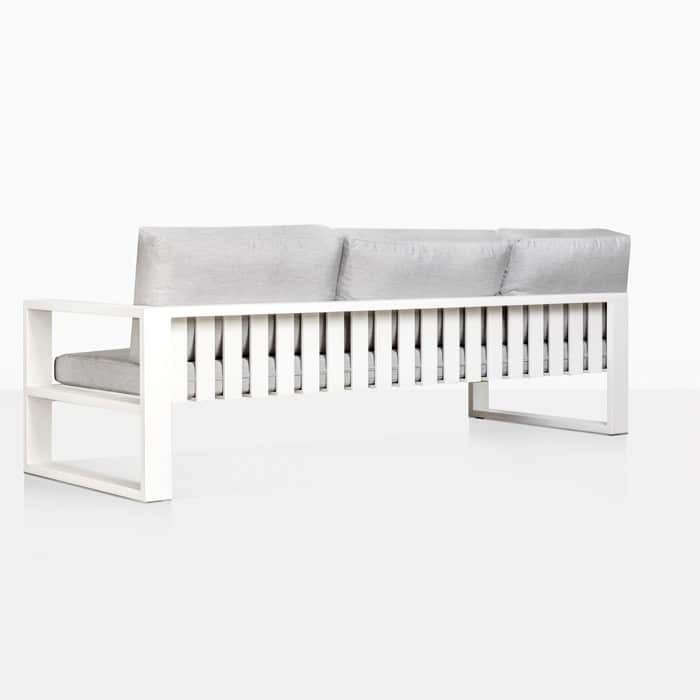 Perhaps you’ve got a large deck overlooking a stunning vista, use the same pairing but insert a Mykonos Corner inbetween each Daybed for the stylish ‘L’ shape that is idea for relaxed dining as well as a tranquil space to unwind. Our Mykonos Outdoor Collection is built from the best long lasting materials; wide slats and frame of powder coated white aluminium with marine grade hardware, and supported by thick, luxurious back and base cushions, covered in glorious quality Sunbrella© fabric, meaning that you’ll be enjoying the Mykonos Collection for years to come. 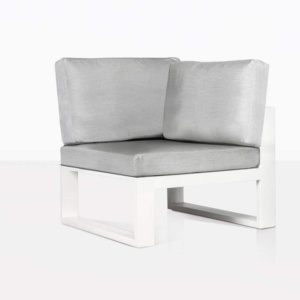 Mykonos is vibrant and versatile, call us now to see what pieces will best suit your great outdoors!